Contrary to the stereotype as a nerdy guy who stays and works in his mother’s basement most of his time, a desirable software engineer might have suitable qualities to run for the President of the United States. 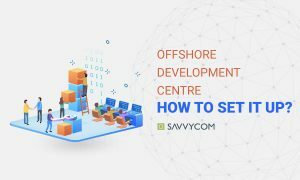 In this article, I would show some of the most essential technical, personal, and offshoring skills that customers may want from their offshore software engineers. A good engineer should never be dependent on an old code. As a code has become unstable and incompatible through time, he will not hesitate to refactor it. Refactoring allows offshore software engineer to control the code, instead of being influenced by the code. Offshore software engineers used to think testing was not their jobs.. However, nowadays, this situation has changed, as most of them have acknowledged the importance of testing on building a smooth, and usable working system. So your engineers should cleverly make use of testing not only to get rid of all bugs and develop stellar codes but also not to waste their time conducting unnecessary and valueless tests. There’s not much time for inventing new codes and libraries all the time, so a hardened engineer should know how to utilize old codes, internal infrastructures, and third-party libraries, as well as to leverage the web-scale services. Software developing is a pragmatic science: a product is meaningless if it’s not usable, or not appreciated by users. A smart engineer must always think about his customers; their software should be simple and understandable do low-tech customers. Besides this, he should bear maintainability and evolution of the codes in his mind. The code can become self-explanatory with the help of expressive names for methods and variables. An engineer who can work with a variety of coding languages is like a speaker who is fluent in different languages. He is able to deal with the same work with more ideas coming up to his mind. Surely, the willingness to learn new coding languages, libraries and methods contributes to a great software engineer. This may sound weird, yet still worth to be mentioned. Each of offshore software engineers should have those skills, and even more: research skills, reading comprehension, and skills on using library functions, on problem solving and on designing. A code developed in one day should be applicable for years. Thus, the capability to foresee the future resulting from present action is important to an engineer, as it will make his codes and libraries easy to be refactored, and to be used in various coding language. Any bad installation package, poor deployment, or misspelled column can ruin the whole system that can lead the engineer to take great pains to re-design. The only solution to this is to pay lots of attention to details to make sure that nothing is ignored. Bad codes and failed products usually belong to those who lack discipline. Like any kind of industry, software development is something highly demanding, and every step in the process should be strictly followed without any flexibility. As an IT project is too sophisticated for one person to handle, the teamwork ability becomes required. A successful offshore software engineer is always a good communicator who is able to write comprehensible reports and instructions, and to convey ideas to his partners and clients. Any recruiter would prefer to see a CV, which shows a list of companies that the candidate previously worked with. The longer he has worked in the field, the more expert the engineer becomes. Besides working hands-on experiences, it is necessary for an engineer to be a master of math and science, and to be willing to learn more experiences than what he already have had. Curiosity is desirable, as through discovering how something’s done is the best road that leads to the accomplishment of a project. It’s also curiosity that turns into creativity, and keeps your engineers at his desk for hours, being eager to see his result. Bugs, design glitches, coding errors by the others are frequent to a software engineer. If someone starts to lose his temper and patience when he faces those things, then obviously he cannot guarantee a successful project.